Britannic Bi-Folds install aluminium bi-fold doors & aluminium windows in Hailsham, Crawley, Eastbourne, Horsham, Uckfield, East Grinstead, East Sussex & West Sussex. 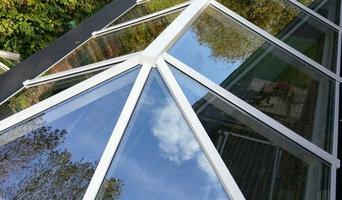 Contact us today for your free aluminium double glazing prices on windows, doors, and aluminium roof lanterns. 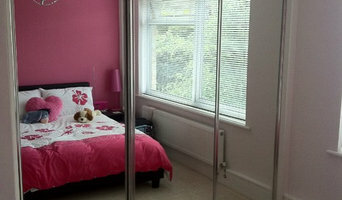 Simply Sliding Wardrobes is a Kent based company that specialises in sliding door wardrobes. We have many years of experience designing, manufacturing, and installing sliding door wardrobes throughout the South East. When you are looking for the most value for money way of having made to measure sliding door wardrobes designed and installed in your home, without compromising on style, choice and quality. We simply know what you expect. Our design team manufacture the sliding doors while maintaining a highly collaborative relationship with the customer, so you may well create a unique sliding door wardrobe that no-one else has. We do have customers in this position and they have created that wow factor that adds that special style to their bedroom. On top of that, we have a wide selection of coloured frames, glass, mirrors, and boards to choose from for your new made to measure wardrobe, now with a stylish twist to add to our range. Simply Sliding Wardrobes' design and installation process means high quality, made to measure designs both inside and out. You can be rest assured you are receiving a bespoke storage solution with a style of your very own. We can also repair and replace your wardrobe's door so you won’t have to scrap the whole wardrobe altogether, our top designers can work with the wardrobe’s existing framework to make it look as fresh and brand new as it did the day it was installed. Our showroom is welcome to all who decide to book a designer visit so we can discuss in depth your ideas and preferences for your ideal wardrobe. To book a designer appointment, please send us a message to our official Facebook page, or call us on 0800 313 4681. We will then arrange a date and time for you to meet our design team in our showroom in East Peckham. 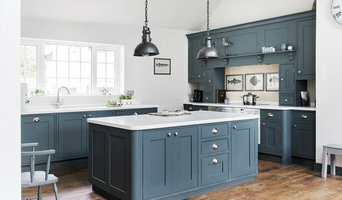 We are an independent joinery product manufacturer established in 1986, specialising in high quality solid MDF kitchen and bedroom frontage, complete furniture and a wide range of matching components and accessories. Our bespoke lay-on and in-frame cupboard doors fit industry standard carcasses, which we supply to other manufacturers, designers and showrooms across the UK. Very experienced & reliable locksmiths offering 24/7 emergency callouts, as well as key cutting from our shop in the Open Market, Brighton. Also Safe openings & access control. Our shop is open 9am to 5pm Mondays to Saturdays for key cutting and locks, we offer a 24 hour door to door locksmith service, lock fitting & repairs, UPVC door and window repairs, and we are specialists in uvpc locking emergency lockouts. Many years experience means you will get a first class service & response time at competitive prices. We cover Brighton and the surrounding towns. The Smile Gallery is a modern dental clinic located in the heart of East Grinstead, West Sussex. We offer a personalized experience, with a discreet and friendly team to ensure you feel at ease every visit. State of the art and advanced equipment, materials and facilities. Get the best help for your doors and locks from Greg's reliable locksmiths in Tonbridge. If looking at all the different styles, materials, types and sizes of doors makes you feel like you’re lost in a labyrinth of locked doors, then don’t despair; Lewes, East Sussex door manufacturers and door suppliers are available on Houzz to help design, build and install all sorts of doors. You can find photos of their previous work, reviews, recommendations and ratings from clients, and contact information so you can speak directly to any Lewes door makers you find that you think can help with your project. You might find that your door suppliers or manufacturers can help with your window frames, garage doors or other contractor work, or they may be able to put you in touch with other professionals they work with regularly. Here are some related professionals and vendors to complement the work of doors: Cladding & Exterior Contractors, Garage Doors, Home Builders, Design & Build, Artists & Artisans. For external doors, it’s usually advisable to go for something durable and insulated. Composite door manufacturers in Lewes, East Sussex will make doors from a number of materials, usually wood inside and a more protective outer layer, so they are versatile and well suited to being used as back or front doors. You can choose from stable doors, panel doors, half-glazed doors or doors with intricate stained glass panels, in all sorts of colours and stains, and, if well-fitted, your composite door will still stand up to any weather. It’s always advisable to talk to your local Lewes, East Sussex door suppliers about the different materials, styles and types of doors on offer so they can tell you in more detail the advantages and suitability of all the doors you’re looking at. Door manufacturers can help with more than just your front door and internal doors - if you have a garden, there are a number of options for accessing it. Large glass doors can be really dramatic and bi-fold doors are a popular choice at the moment because they can completely disappear and open up a room to the outside. If you don’t quite have the budget to install bifold doors, patio doors or french doors can still bring in lots of light from your garden into your home. Talk to Lewes, East Sussex door makers about what they think could work for your home renovation project. Why should I hire Lewes, East Sussex door manufacturers or specialists? Find door suppliers and makers on Houzz. Look in the Professionals section of our website and search for Lewes, East Sussex door manufacturers and suppliers. Read reviews, look at project photos and see how a door professional can help your Lewes, East Sussex home improvement project.